Smartphone combines the cellphone function and handheld computing facility. In the growing world of technology, a smartphone is playing a vital role in our day to day life. We can’t think of a single day without our smartphone. In the era of the smartphone, Android is the most popular operating system which is developed by Google. And guess who is back. Nokia!!! Nokia used to be one of the world's biggest mobile phone manufacturers but it fell behind with the advent of iPhone and Android smartphones. Finally, they make a move to bring back Nokia. 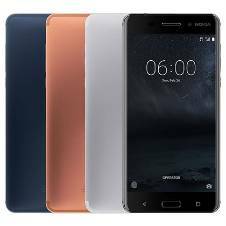 Nokia 6 with the best specification a user can imagine in a smartphone was launched in January 2017. Nokia Android handset is featuring a 5.5 inch full HD 2.5 D screens with a corning gorilla glass protection and fingerprint sensor. It is powered by Snapdragon 430 SoC coupled with 3GB of RAM, runs on Android 7.0 Nougat. Nokia 6 smartphone packs a 16-mp primary camera on the rear and an 8-mp front shooter for selfies with aperture 2.0 on both sides. The Nokia 6 is a dual SIM smartphone which accepts Nano-SIM. Connectivity options include Wi-Fi, GPS, Bluetooth, NFC, USB OTG, FM, and 3G. It has 3000 mAh non-removable battery which will give you full day support. Definitely, a very good smartphone anyone will recommend to buy. Where Can You Find Nokia 6?? What is the Price if Nokia 6?? 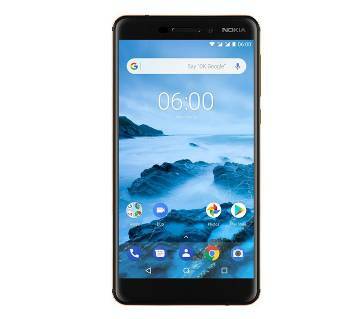 How to Buy Nokia 6 Online?? If you still have this question in your mind, there is good news only for you. Go to Ajkerdeal.com and grab you Nokia 6 right now. Ajkerdeal.com is the leading online shopping site in Bangladesh where you can easily buy Nokia 6 & Nokia 5 smartphone with a few mouse clicks. Besides a lot of other most famous Nokia Mobile phones are also available at AjkerDeal.com. We have a plenty of collection of the latest smartphone from where you can find your perfect one. Ajkerdeal.com offers a variety of popular branded smartphone with the best price tag along with. You can also look for various good brands of a smartphone such as Xiaomi, Symphony, Walton, Lenovo, HTC, Oppo, Sony, Apple, Huawei, Maximus, Lava and many more. Now you don’t need to waste your time to go to a market to find out your desired smartphone. Now anyone can have a look at ajkerdeal.com to find out the desired smartphone you need and the product is at your doorstep. If you are looking for Nokia 6 price in Bangladesh, AjkerDeal offers you the best price online in Bangladesh. You will get the original Nokia 6 mobile from our site. We have a huge collection of the smartphone in our store from where you can find your desired phone according to your budget. If you are looking for a mid-range good performing smartphone then Nokia 6 will be a perfect choice for you. You will also get EMI offer with 0% interest rate for 6 months. We offer Cash on Delivery service so that you can check the details of the product and pay later. Grab your Nokia 6 mobile at the best price in Bangladesh from AjkerDeal. Check out the mobile collection to check other brands like Xiaomi, iPhone, Sony, Lenovo, Symphony, Walton, Huawei, HTC and many more. Buy smartphone from AjkerDeal.com at an attractive price and get many discounted offer. Check out the Nokia mobile price in Bangladesh and grab your Nokia mobile online. If you pay through Bkash you will also get more discount offer. Stay tuned for the more discounted offer and buy online in Bangladesh. Happy shopping with AjkerDeal.com and experience a good online shopping!